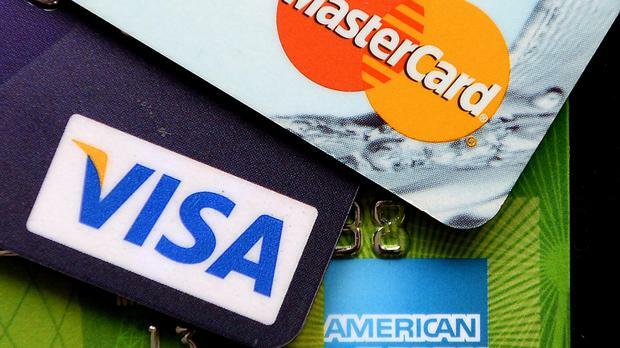 Gardaí and experts alike have urged consumers to take extra care when using their bank cards online for Black Friday and Cyber Monday sale events. The popular American-style shopping day is expected to see the average Irish person spend almost €300 tomorrow. According to FraudSmart, a fraud awareness initiative led by Banking & Payments Federation Ireland, some 80pc of car fraud occurs when the owner isn't present in store - and gardai are encouraging shoppers to take care over the weekend. Detective Superintendent Gerard Walsh of the Garda National Economic Crime Bureau said that safety when shopping online is not always "a given" and that there are a number of risks to consider when making online payments. "Buying online is a very convenient way to shop particularly in the busy run up to Christmas, however shopping safely online is not a given, as there are inherent risks," he said. "It is vital that people exercise caution when shopping online and follow the fraud prevention advices provided." "Do not click on links or adverts from social media. Independently go to the website offering the deal. This will ensure you are not shopping on a fake website. "Do your research; only buy from trusted sources, shops or brands that you are familiar with. Use websites that your friends, family or colleagues have used before. "When purchasing something online from another person, do not send money up front. "Be secure: Use a secure website. Look for the padlock symbol and the ‘S’ in HTTPS. "Don’t use public Wi-Fi when making payments, always switch to 3G/4G. "Remember to regularly check statements and transactions for any frauds or suspicious activity." "Beware of any purchases of bulk items or large quantities of the items or random goods. "Small cost purchases followed by larger purchases by the same user could indicate someone testing a compromised card. "If you capture IP addresses check them online to see where they are registered. If the billing/delivery address is in a different country, this could indicate a problem. "Don’t hesitate to contact the customer by phone and ask them to confirm their payment details such as card number, bank name, card expiry date etc. Genuine customers will usually know these details immediately." "Share only basic personal data when making a payment: Only share the information that is needed to complete the purchase and avoid giving your bank account details. Use your payment card but don’t let the website store these details." "Be cautious when responding to emails: If you are unsure of an email that is asking for your personal details, especially if they appear to come from your bank, service provider or reputable retail website, don’t respond to them." "Transparency obligations and tick boxes: If you have a concern about your personal data, read the website’s privacy notice first." "Keep records: Regularly review your bank and credit card transactions for any unusual activity. This could indicate if your account has been hacked and always keep electronic receipts as backup for purchases made online."